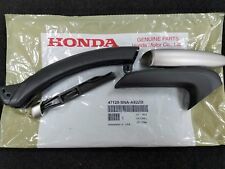 Genuine OEM Honda Civic Shift Panel. 2006-2011 Honda Civic (MT Models). Fit for : 06-11 civic MT. High Quality DIPPED IN CARBON ! Land Rover. 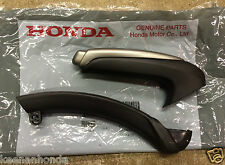 Genuine OEM Honda Civic Shift Panel. 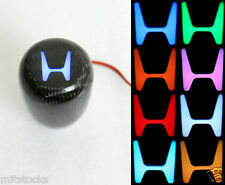 Fit for : 06-11 civic. 2006-2011 Honda Civic Automatic. High Quality DIPPED IN CARBON ! Cadillac CTS. Mini Cooper. Land Rover. This front spoiler is a universal fit for all sides of the car and for all sort of shapes and car body types. Durable design is combined with a great appearance. This product will give your care the stylish look it was missing! $GREAT ITEM, HIGH QUALITY GUARANTEED! WE PROMISE YOU THIS IS WORTH THE PRICE! 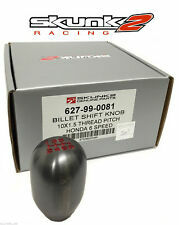 Fitment: --- Universal Fitment Shift Boot for Honda/Acura Models. 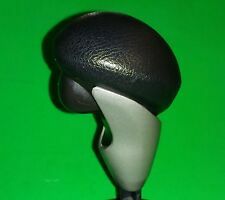 --- Shift Knob Will Also Fit All Shifter with M10 x 1.5mm Thread Pattern --- Pre-Threaded to Fit Most Of Honda and Acura With Manual Transmission Shifter. 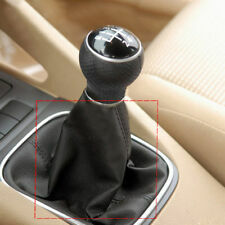 --- Will Fits All Other Honda/Acura Manual Transmission Models. 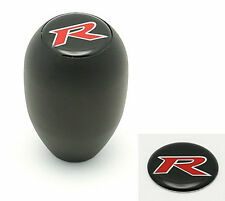 Package Includes: ---1 x Black Leather JDM Si Style Aluminum Shift knob with Red Stitching ---1 x Metal Position-Locking Nut. 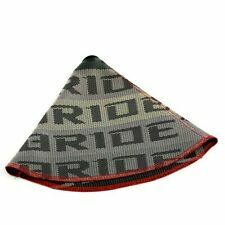 ---1 x Black Suede Leather JDM Style Shift Boot With Red Stitching (3 Double-Red Lines) Features: ---JDM Si 5-Speed Style Leather Shift Knob. ---With Red 5-Speed Engraved Logo. ---CNC Machine Pre-Threaded. ---Made Of High Quality Heavy Weighted Billet Aluminum. ---Nice Red Stitching and Quality Leather. ---Shift Boot is Made Of Nice Quality Suede Leather. 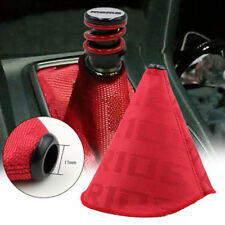 Red Stiched Shift Boot. 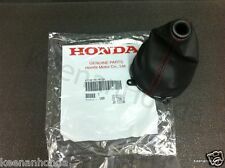 2006-2011 Genuine Honda Civic Si. 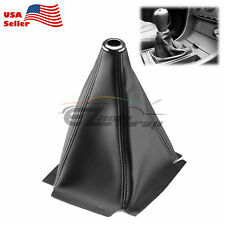 Fits: Honda Civic Si 2006 2007 2008 2009 2010 2011. All Genuine Honda Parts are backed by Honda's Limited 12 month warranty.